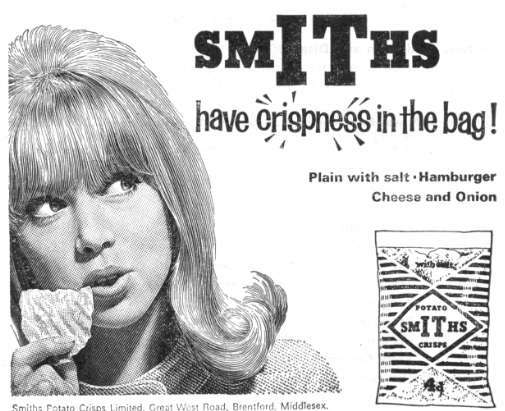 9 Comments on Food in the 1960s: What else were we eating? Those two scamps from Miss Judge’s class back in 1964, Barry Ward and Ronnie Hughes, on what else they were stuffing their cheery faces with back in those childhood days. Well we’ve looked at ‘proper’ food and found it was actually quite good. And we’ve looked at ‘sweets’ and found that the dentists of the 1960s were more dangerous for our teeth than sweets. But what’s that joyous noise from out in the north Liverpool street? It’s the ice cream man! 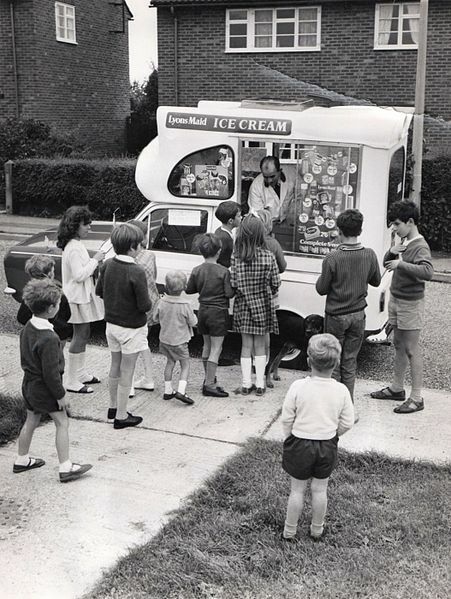 Early in the sixties there were two ice cream men came to our street. ‘Lyon’s Maid’ as pictured here, and ‘Wall’s.’ And they hated each other. ‘Has he been?’ they would always demand if they weren’t getting much of a queue on any given day. And in our street it was never us children did the buying like here. But our mothers, who would anxiously be pleaded with to ‘Come out quick before he goes!’ And, arms folded, clutching purses, they would each emerge from their housewifely homes and get us what we craved. And what was Barry craving over in his road? “Good and big!” Just what Barry wants. I remember the ice cream in the illustration here. 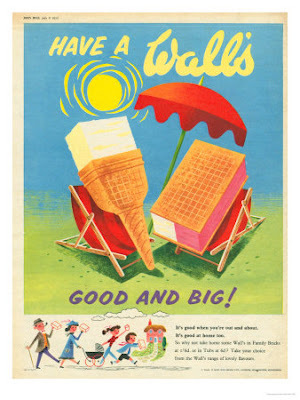 In blocks, before the vans could all do soft ice-cream. Mind you, as time moved on the choice did get wider. I don’t remember Wonder Cake, but I definitely remember Zoom. I always thought Zoom was an imitation of the spaceship in early Gerry and Sylvia Anderson puppet show ‘Fireball XL5’. Back in the days before everything was branded and marketed across sectors. Mars Bars, for example, were many years away from becoming ice creams too. Lyon’s Maid, the range develops. 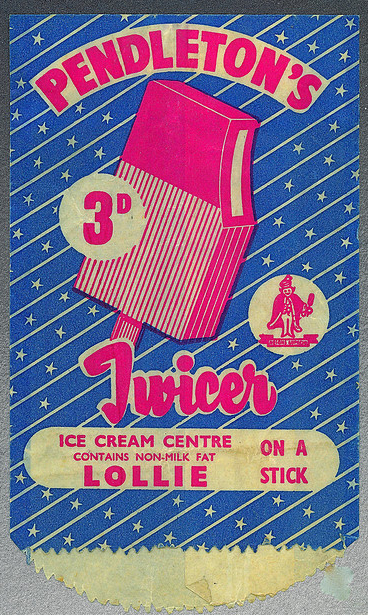 Some while back there was an attempt by serious ice-cream workers and historians to re-introduce ‘The Twicer’ – still lolly ice on the outside, ice cream in the middle. But it was once again foiled by the big boys, who wouldn’t let it in their fridges inside the shops. The sort of thing a responsible Government should be keeping an eye on. Pausing only to mention Strawberry Mivvis, same idea as a Twicer but never quite equal, lets move on to what else we could force into our growing, but by now, groaning bodies. Don’t much like the sound of ‘Hamburger’ though. Don’t think that lasted – or maybe they just changed its name to ‘Smoky Bacon’? Anyway, that’s it. I can’t eat another thing. I’m going back in the house for a drink of lemonade! Same here. And a year or two back I ordered a ‘Dandelion & Burdock’ that some retro-lemonade company was making. And it was so sweet and sickly I couldn’t finish it. Our taste buds were obviously different when we slurped down lemonade in the 1960s. Well I’m full now, so the last word goes to Barry, who always had room for just a bit more. 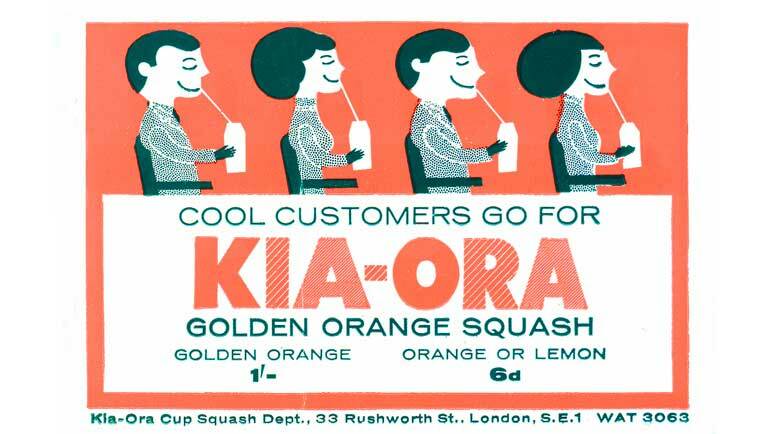 At the pictures, enjoying a cool Kia-Ora. Yes, look at those tricky corners. And with that, we complete our ‘Food in the 1960s’ trilogy. But don’t worry, we’ll be back with more memories very soon! Have to agree about ice cream between two wafers. Loved licking the ice cream all around the edges before biting into it and making the ice cream squidge out everywhere. Messy memories! And did you ever get those square cones too? Just right for unwrapping and popping in a small block of ice cream! Dandelion & Burdock. Never saw the appeal myself. Like I said once before, it was that toxic looking, lime yellow Corona that did it for me. Great stuff!! Don’t remember the square cones, we had the oblong ones illustrated here. …that’s probably why I am sometimes mad, bad and often dangerous! I found ginger beer very disappointing too, perhaps because there was no adventurein the offering. (You could devote an entire blog to those enticing meals eaten by the Famous Five completely free from adult interference ). We had square cones here on the other side of the world. 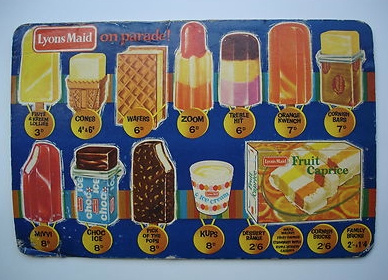 They were often used for coloured iceblocks that were put together at home.I notice the low fat milk used by Pendleton’s twicer- was this an early stand against obesity, I wonder? 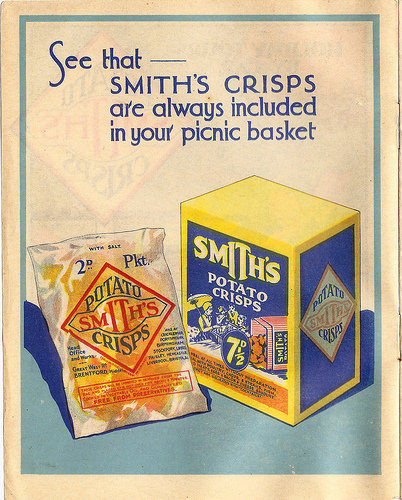 Never mind the high salt content, Smith’s crisps tasted quite different when one used the twist of blue paper to salt one’s own delicious handful. 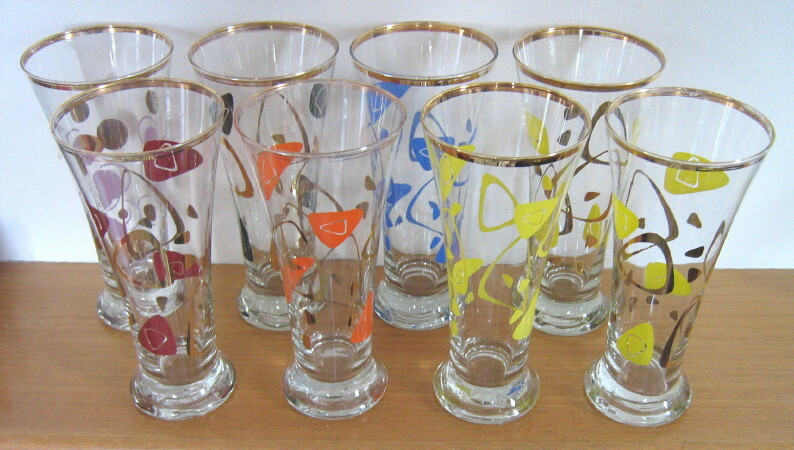 Lemonade in those retro glasses reminds me of milkbars when drinks including milkshakes were always served in real glass.The dawn of the nasty paper or plastic cup was still to come. More please this is excellent stuff…. So, square cones remembered from Norfolk to Australia but NOT in Liverpool? And the Pendleton’s wrapper actually says ‘non-milk fat,’ as in ‘it tasted wonderful but it could have been made from the left-over bits of virtually anything.’ Which I find retrospectively worrying! I remember Pendletons ice cream from Moores on Broadway. 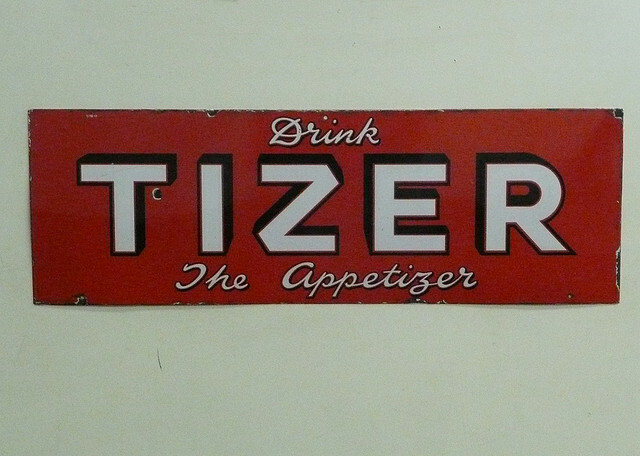 Loved Twicers or Lyons Maid Cornish Mivis. 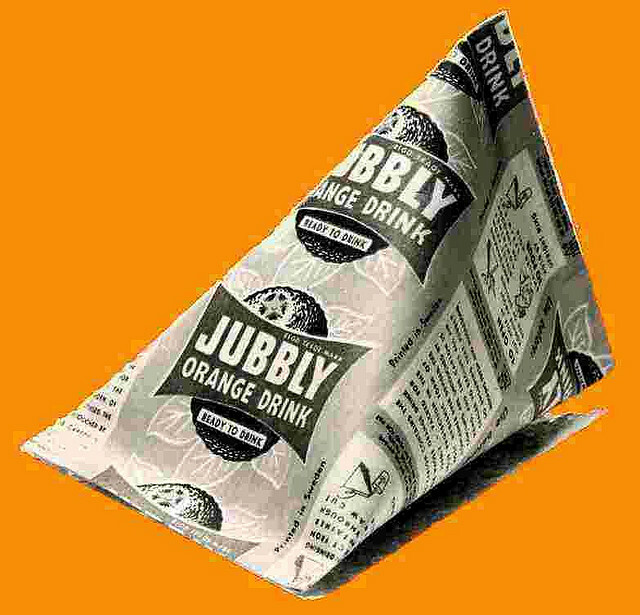 Jubblies were difficult to open and we always sucked all the juice out and were left with a lump of ice. We used to buy ‘Full Swing’ Dandelion and Burdock and Cream Soda from the Cafe on the corner of Broadway. Wow, such happy memories. I seem to remember that every “Corpy” bus had a Pendletons Twicer advert on the panel downstairs at the front of the bus between the drivers window, which always had the blind drawn and the window that looked out over the engine and on to the road. 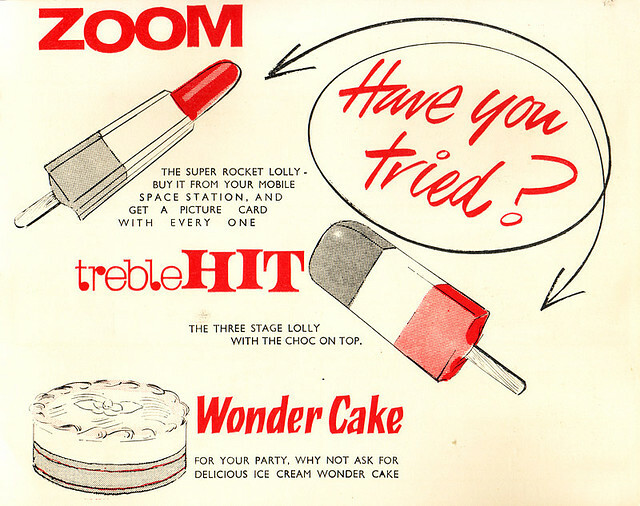 Zoom was indeed a Fireball XL5 thing and I remember the puppets, Steve Mercury and Venus advertising them on telly…shades of a later product called FAB, advertised by Lady Penelope. Can you resolve an argument? I’ve always called these Lolly Ices. Now living in Coventry every body calls them Iced Lollies. Was this just a Liverpool thing? There was a shop up by Walton Church, now long gone where you could for the princely sum of 3d, buy a pint of draft Dandelion and Burdock. Anyone remember the Electric “milk” floats that Craig’s Pantry operated? Forerunner of Scott’s, they would deliver the bread to people’s houses. 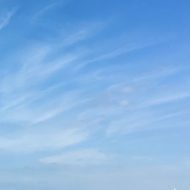 Anyway, happy memories of carefree days, and thanks for reminding me of them.